Hurricane Harbor LA water park is part of the Six Flags theme park complex in Valencia (Santa Clarita), California along with the super-coaster park, Magic Mountain. Hurricane Harbor requires a separate ticket, but you can also buy a combo ticket for both parks. While not as large as the other water parks, it's convenient if you want to combine it with a visit to Six Flags Magic Mountain. For lighter crowds, visit weekday mornings as soon as the park opens. Tickets are available as daily tickets, season passes and as part of a membership. Daily tickets cost less online than at the gate, and you can save more by buying your tickets three to five days in advance. There is an additional fee for parking. Children 2 and under are free. Two park combo tickets including Magic Mountain are also available. Hurricane Harbor usually opens on weekends beginning with Memorial Day Weekend and continuing through the first weekend in October. They are open daily mid-June through most of August. The park opens daily at 10:30 am, but closing time varies between 6 pm and 8 pm, depending on the day. The 8 pm extension is only on Fridays from the end of June to the beginning of August. Hours are subject to change, so they recommend checking the website schedule on the day you want to go. 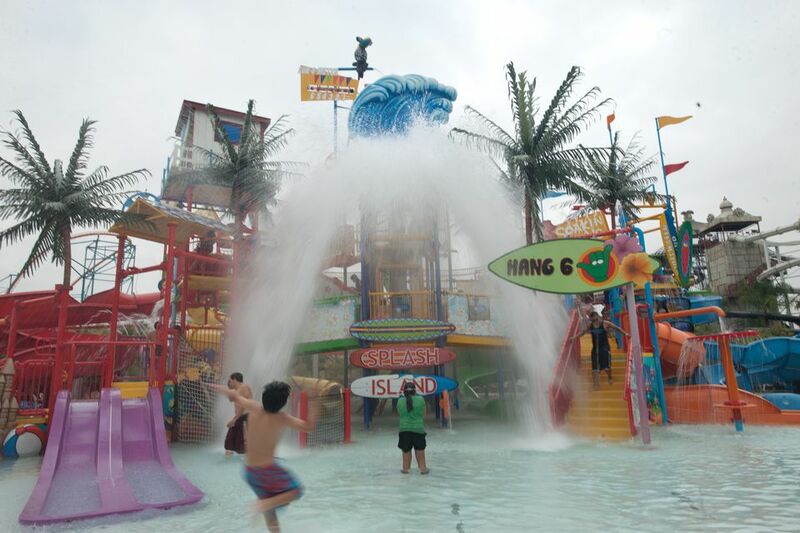 Hurricane Harbor has 13 water slides, chutes, pools and play areas including 5 with no height limit, 2 with a 42-inch height limit, and 6 with a 48" height restriction. Hurricane Harbor has a variety of snack bars, changing rooms, and two sizes of lockers for rent ($5 regular or $6 large with a $3 key deposit). Free lifejackets are available from Captain buoy Raft Rentals. Rafts and tubes are provided for rides that require rafts, and you can rent a tube for the day for use in other areas. Cabanas are available to rent by the day with a variety of service and food plans. A baby nursing area is available in the First Aid Station. A free pet kennel is available in the main parking lot. Hurricane Harbor is a no smoking environment, but there are smoking areas provided. Swimwear cannot have any metal or plastic on it anywhere to go on the water rides (no buckles, plastic ring connectors, sequins, rivets, etc.). Hurricane Harbor has a very extensive dress code and behavior rules posted on their ​website. Free pet kennel in the parking lot. www.sixflags.com This information was accurate at the time of publication, but can change at any time. Please check the Hurricane Harbor website for the most current information.